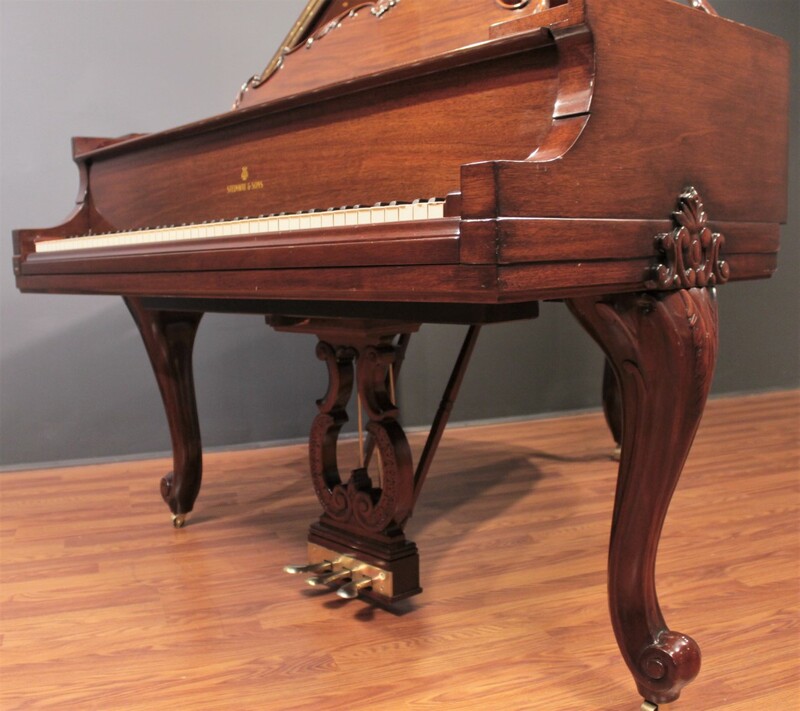 Gorgeous Louis XV appointments. 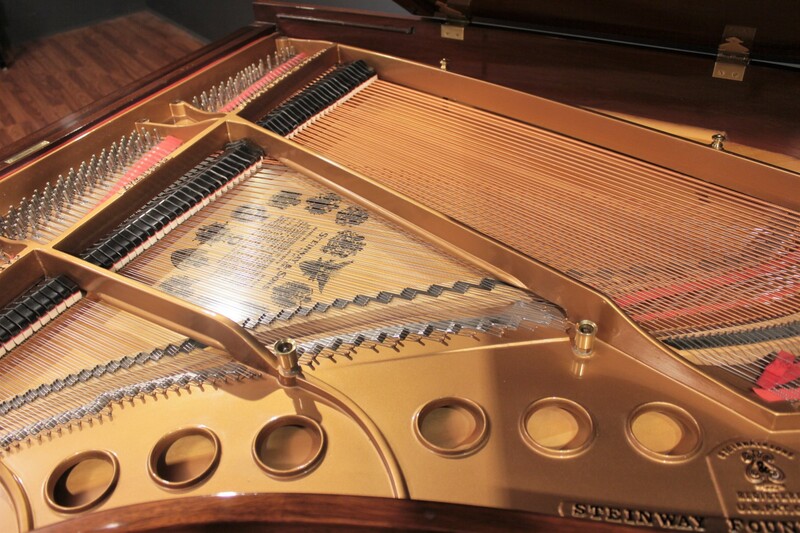 Beautifully restored within the last 20 years, fantastic cosmetic and musical condition. 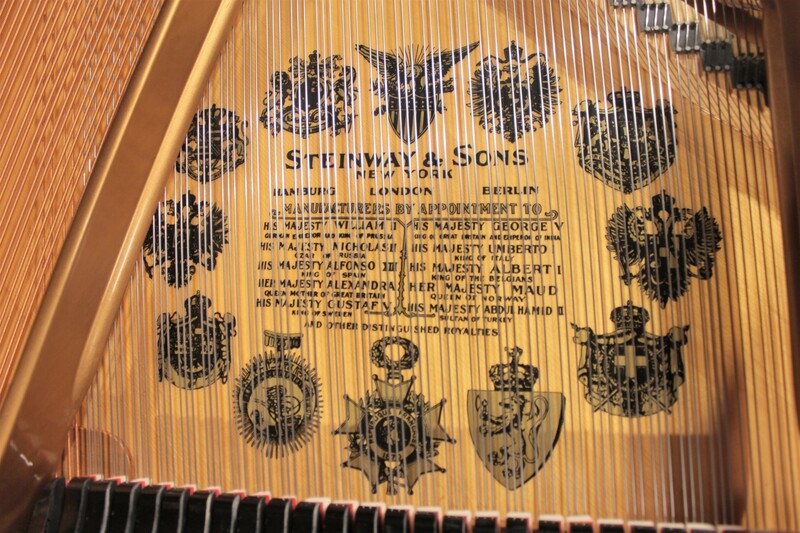 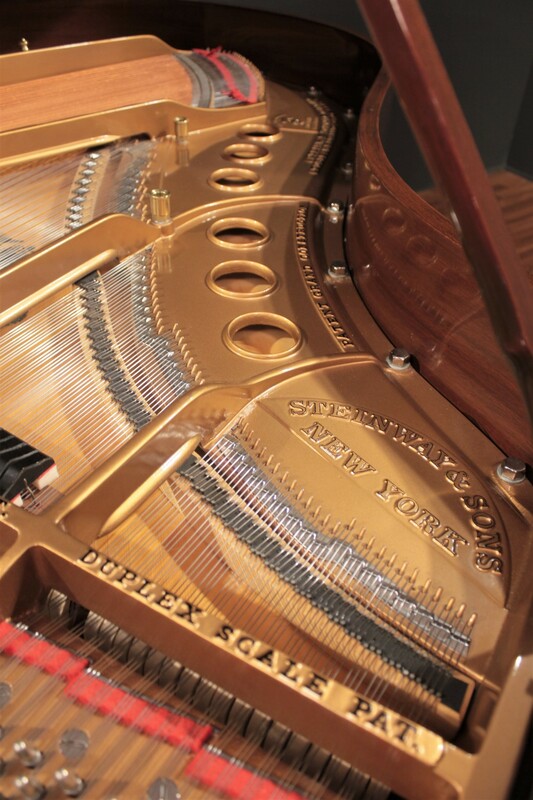 A beautiful decorator Steinway grand! 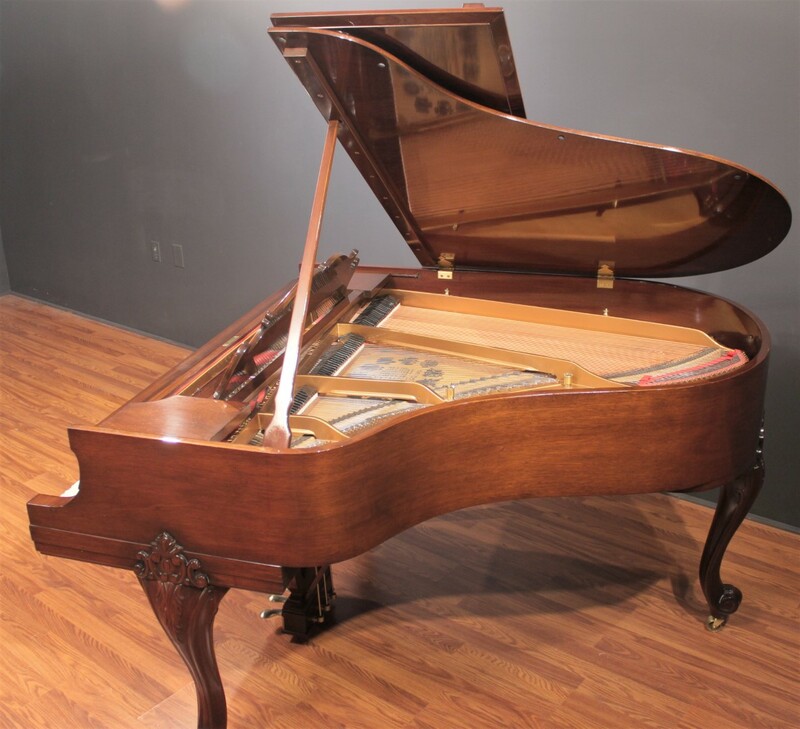 This Steinway Model M 5'7'' grand piano was originally crafted in New York in 1923 and was restored approximately 20 years ago. 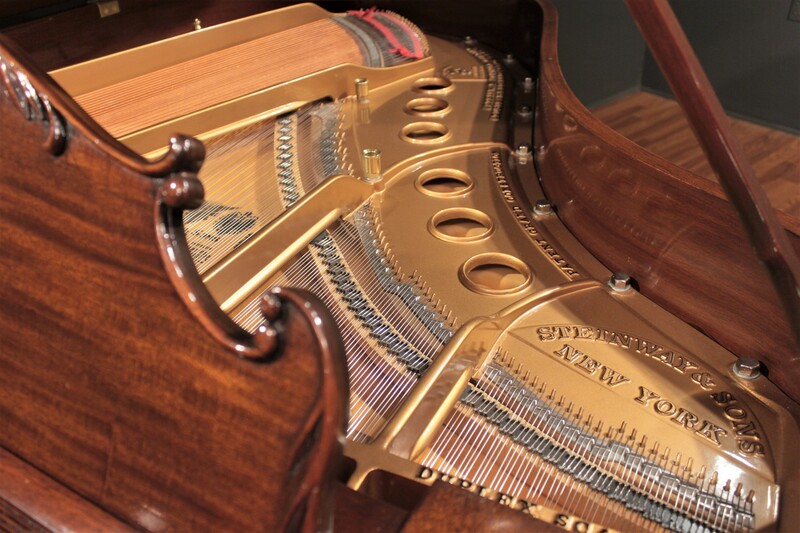 Since restoration it has been respectfully owned and maintained by a private owner in New York. 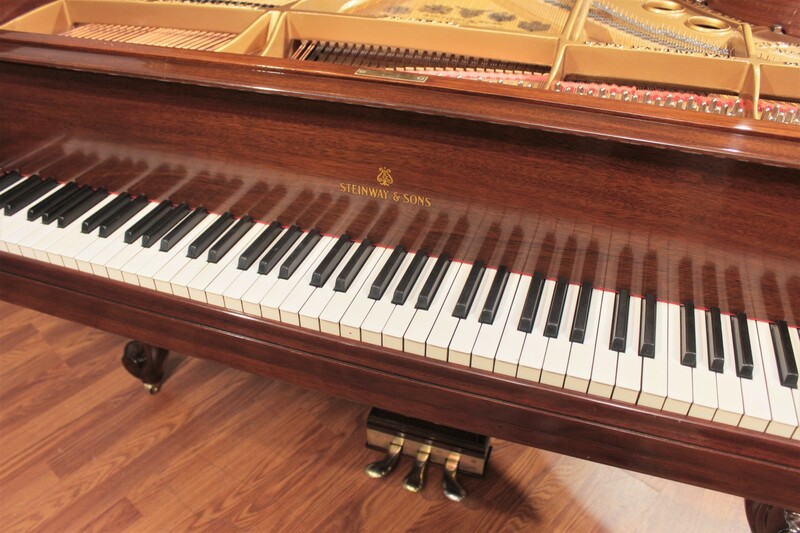 It will be a welcome addition to any setting that will appreciate its musical and aesthetic splendor. 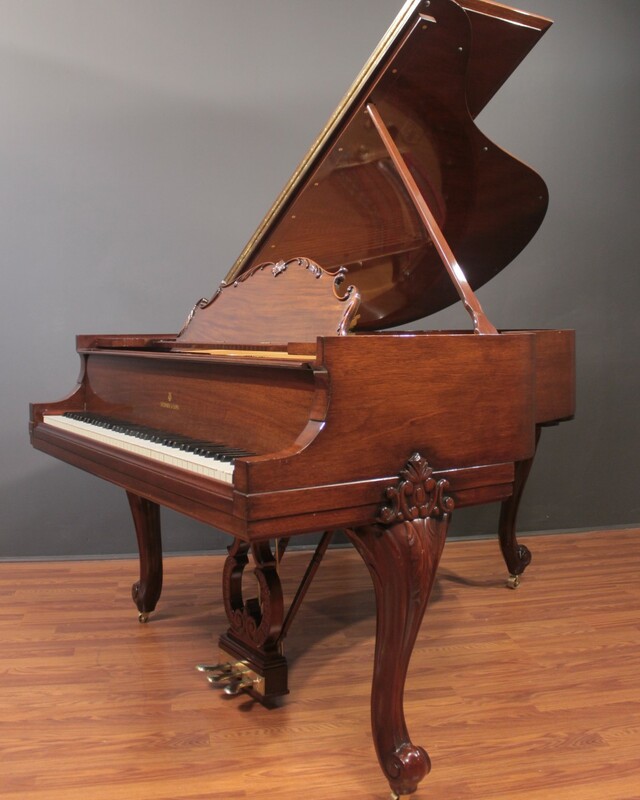 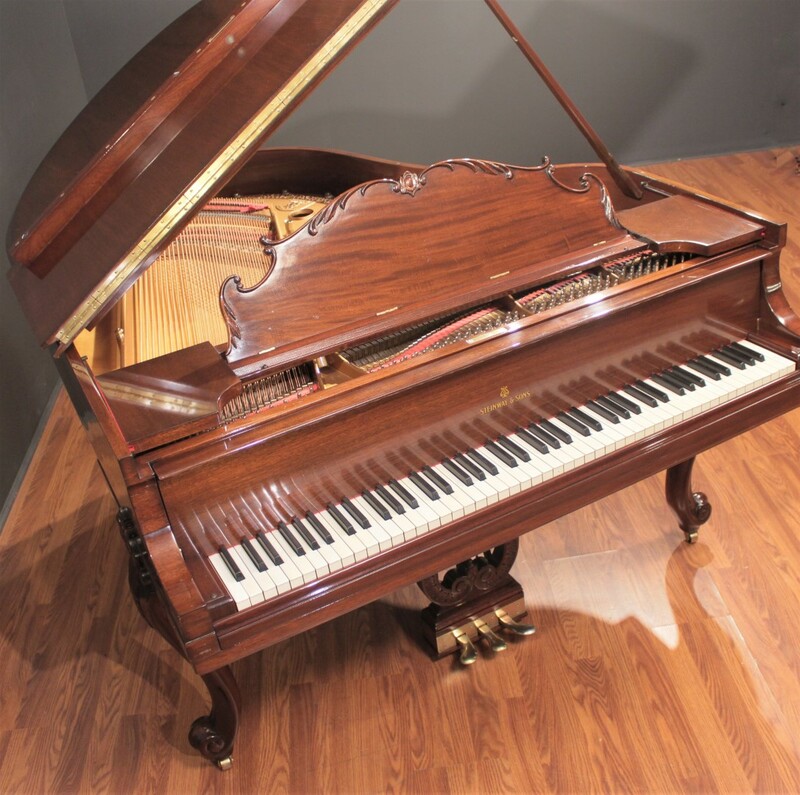 The visual presentation of this instrument is greatly enhanced by Louis XV-style legs, pedal lyre, and music desk, elements still found today in Steinway's Special Collection Louis XV Model M, priced new at $132,500. 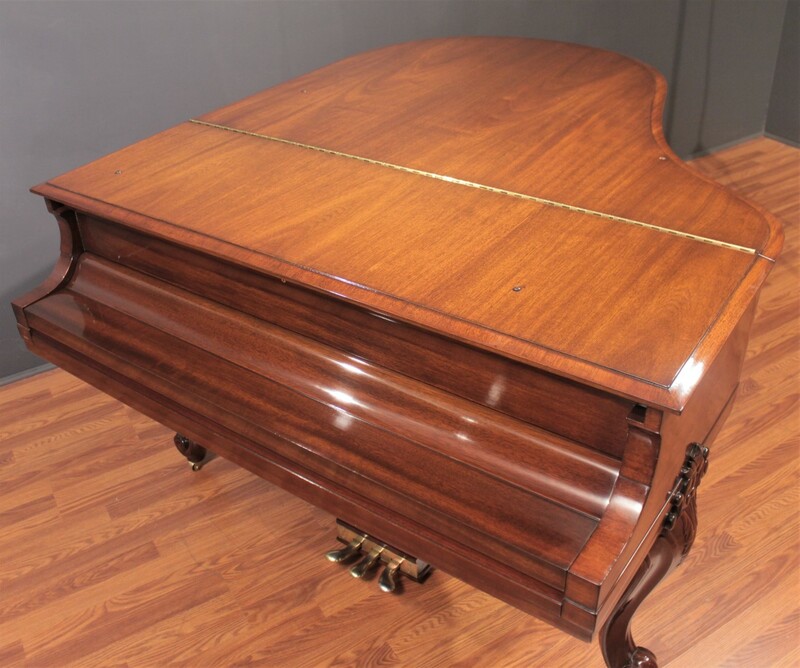 Cosmetically, the cabinet of this instrument has aged very well since restoration, retaining an even color with no evidence of sunbleaching (a rarity among wood-finish Steinways). 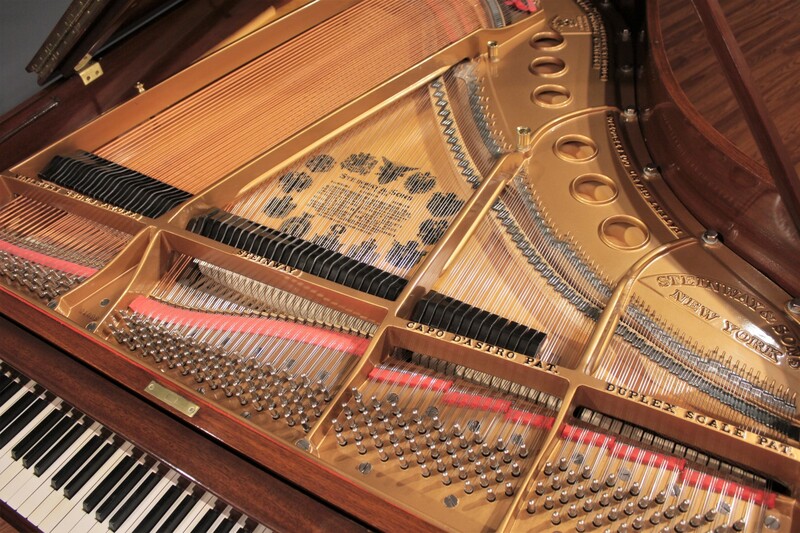 Musically, it is a very satisfying musical instrument, with a smooth, mellow tone and responsive action. 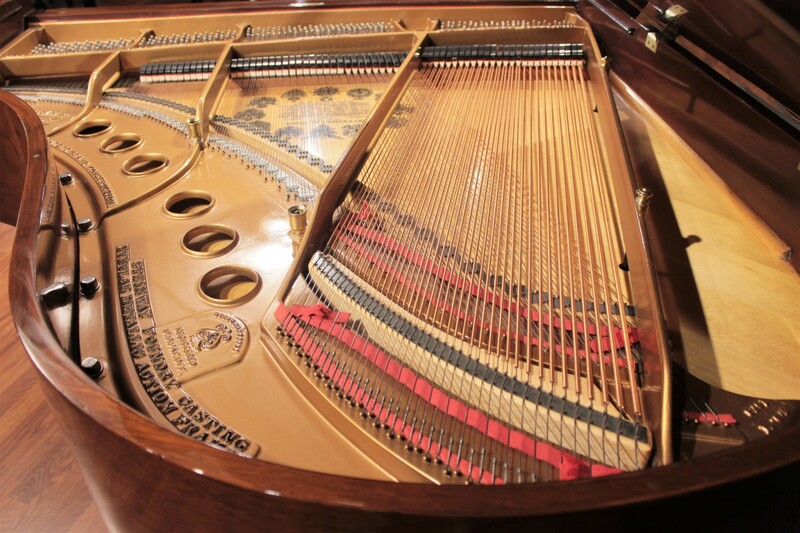 The piano retains its original keytops, which are in very good condition overall with only a few cosmetic chips on the topmost three keys of the instrument. 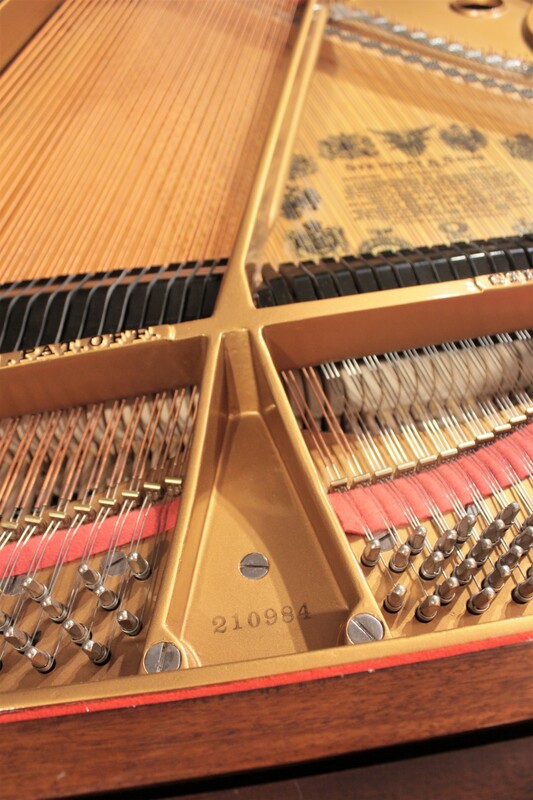 If desired, the keytops can be easily replaced with new bright white plastic keytops, please ask for details.